Alex Horne is a British comedian. He is the host of “The Horne Section”, a live music variety show which has been broadcast on BBC Radio 4. 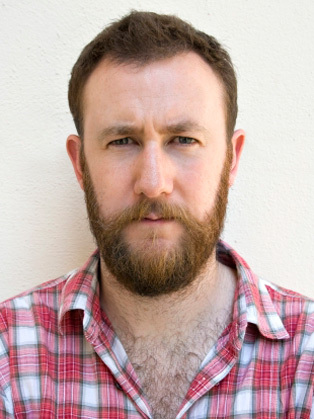 Award-winning comedian Alex Horne has established a reputation among critics, comics and audiences as a thoughtful and original stand-up comedian and writer. Alex Horne is the creator of the UKTV show Taskmaster, which first broadcast in 2015 with host Greg Davies and returns for two more series in 2016. Taskmaster has been nominated for the Broadcast Awards’ Best Entertainment Show. Alex is the creator and host of comedy music show The Horne Section. Together, Alex and his five-piece band create a heady mix of stand-up comedy, cabaret performances, outlandish musical talent and special guest appearances for their own BBC Radio 4 show Alex Horne Presents: The Horne Section, which has now run for three series as well as their five consecutive years at the Edinburgh Fringe Festival. The band has also accompanied Alex in hosting 8 Out of 10 Cats Does Countdown (Channel 4) several times and were the only band ever to host Never Mind The Buzzcocks (BBC2). Alex was the host and presenter of iTunes chart-topping and Chortle Award Nominated podcast Alex Horne Breaks the News (Dave). The show takes a look at the week’s big (and small) news topics mixed in with a smattering of statistical analysis, musical numbers and ad hoc features. Since winning a Chortle Award for Best Breakthrough Act for his debut show in 2004, Alex has taken nine solo shows to the Edinburgh Fringe, earning a Perrier Newcomer Award nomination for Making Fish Laugh¸ and a Foster’s Edinburgh Comedy Award nomination for his most recent solo show Monsieur Butterfly in 2014. He has also released two books with Virgin Publishing based on his critically acclaimed Edinburgh shows; Birdwatchingwatching in 2009 and Wordwatching in 2010. Alex’s numerous TV appearances include two series as co-host of We Need Answers (BBC4), The Matt Lucas Awards (BBC1), Dara O’Briain’s School of Hard Sums (Dave), Dave’s One Night Stand (Dave), Celebrity Mastermind(BBC1) 15 to 1 (Channel 4) and The Games That Time Forgot, a documentary written and presented by Alex for BBC Four. He featured on 8 out of 10 Cats Does Countdown (Channel 4), John Bishop’s Christmas Show and also featured in Comedy Central’s series Drunk History. In addition to Alex Horne Presents: The Horne Section, radio credits includeThe Unbelievable Truth, Heresy, Wordaholics (BBC Radio 4) and The Guessing Game (BBC Radio Scotland), among many others.